There’s no arguing with the utility of an electric terminal tractor. Gone are all the usual concerns about EV range. These trucks are almost exactly the same truck you are currently using except for the powertrain, so there’s little transition anxiety. 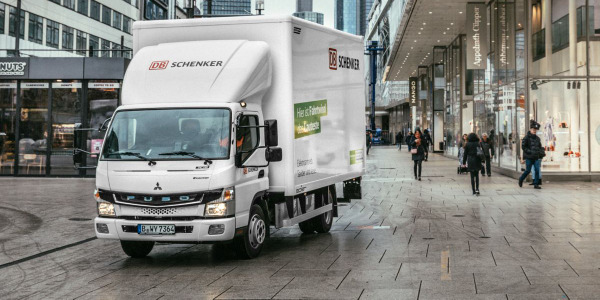 They are as capable as any diesel-powered hostler, and for the environmentally conscious, they produce zero on-site emissions. 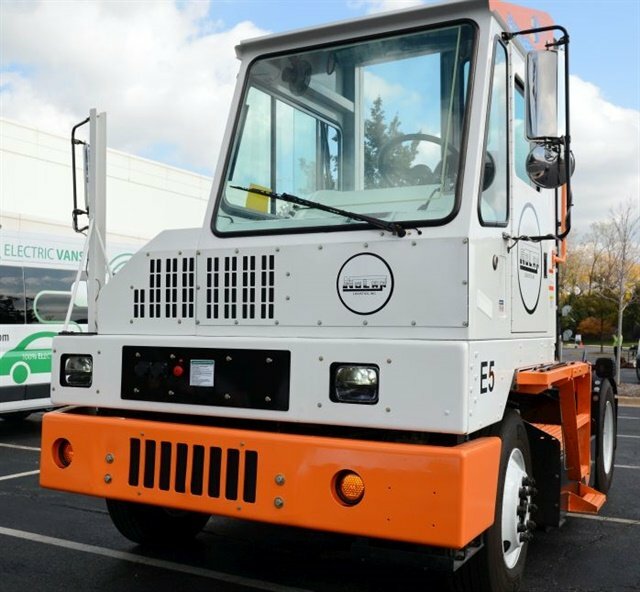 Last summer, during Bobit Business Media’s Fleet Technology Expo, we had a chance to try one of Orange EV’s all-electric T-Series on-road terminal tractors. I don’t have a ton of experience driving these trucks, so I wasn’t able to make a direct comparison to the diesel versions, but it was pretty cool. As it was explained to me, the basic operating controls for the hydraulic lift are the same as a diesel, as is the forward and reverse selector – at least from the operator’s perspective. 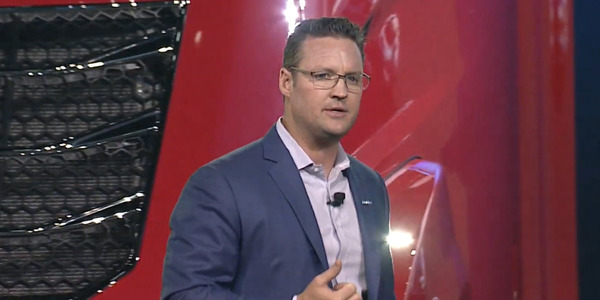 An electric motor drives the hydraulic pump for the lifter and there’s even a boost option to speed up the lift (formerly accomplished by revving the engine), which draws some hydraulic flow from the power steering. But since you’re usually stopped when lifting, you’re not giving up anything. 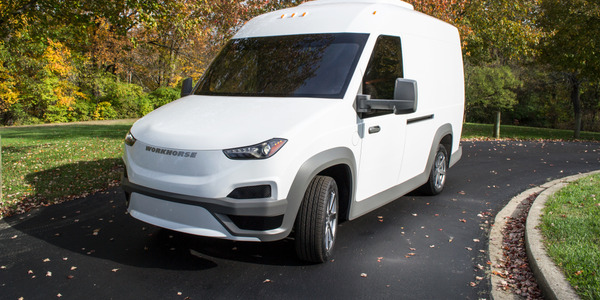 The air compressor for the brake system is electrically driven, and all the usual vehicle systems, such as lighting, wipers, defrosters, mirror controls, and in-cab displays monitors, radios, etc., use a step-down transformer to get the 12 volts they need. 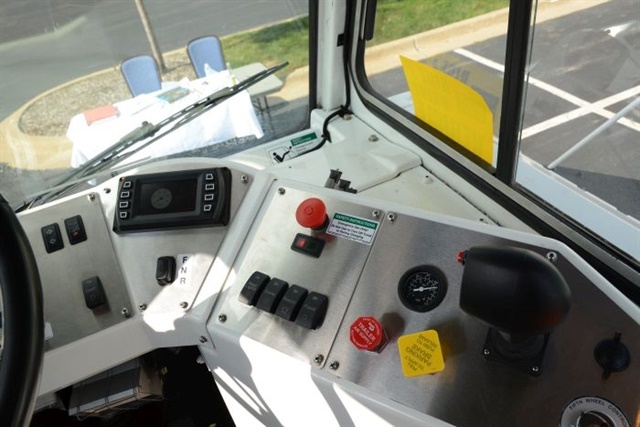 The forward and reverse selector looks the same as the diesel version, but with the T-Series, the controller simply switches the flow of current through the motors so they turn forward or backward. There’s no transmission to deal with. 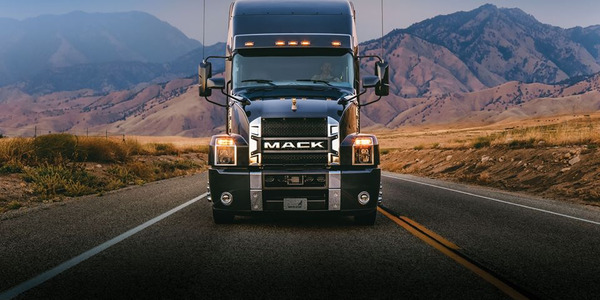 The electric drivetrain also offers the added benefit of regenerative braking, which smoothly controls deceleration while adding a bit of a charge to the battery. 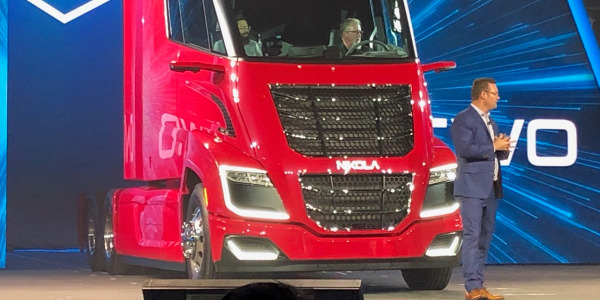 Mike Saxton, Orange EV’s chief commercial officer, told me the truck will run for up to 24 hours on a full eight-hour charge. 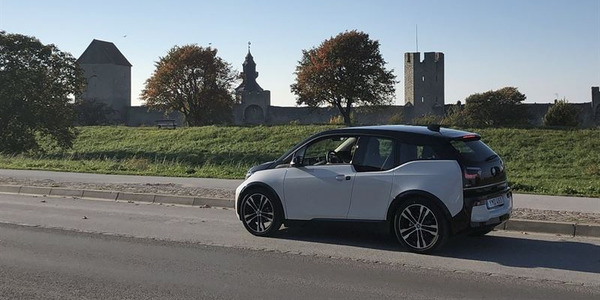 It’s available with four-hour or two-hour fast-charge as well, which shortens the time between charges and gets it back into service sooner. It also can be charged during lunch and coffee breaks to extend operating times. 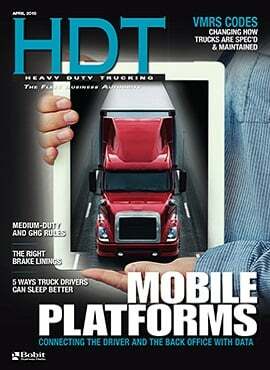 The driver interface is very similar to that of a diesel truck. It’s very quiet, too. Driving was virtually no different from a diesel, except that it’s much quieter. The electric motors make it really torquey, so it just gets up and goes. It will maintain a healthy 25 mph speed. Slowing with the aid of the regenerative braking was easy and smooth, and will likely save on brake wear. Everything else felt much the same as a diesel, from brake performance to the power steering (a big deal in a terminal truck). It uses most of the same controls, so the learning curve will be nearly flat. Drivers do have to be mindful of the charge on the batteries. But with a 24-hour window and the ability to charge it even for a few minutes on a break or during a slow period, the chances of running the batteries flat are low indeed. Plus, the charge indicator is very prominent on the dash display. 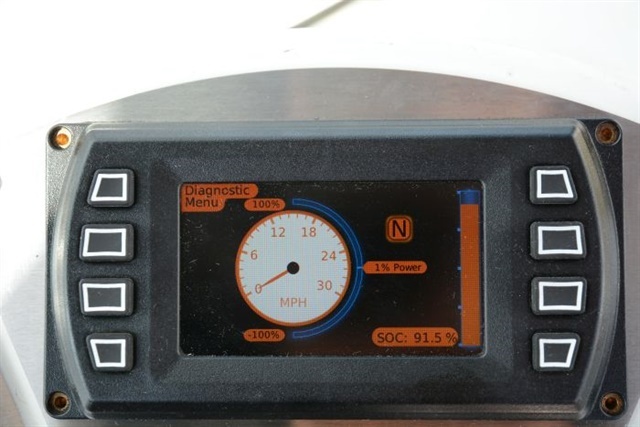 The dash display shows useful information such as speed and state of charge. Diagnostics are displayed for the technician’s benefit. 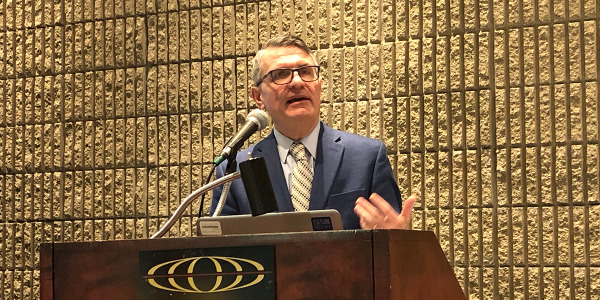 When it comes to the business case for switching from diesel to electric, Saxton said he has data that shows the net savings, even after paying for the electricity, are somewhere between 80 and 90%. As you’d expect, the upfront costs are higher, but the cost of ownership is much lower, he said. 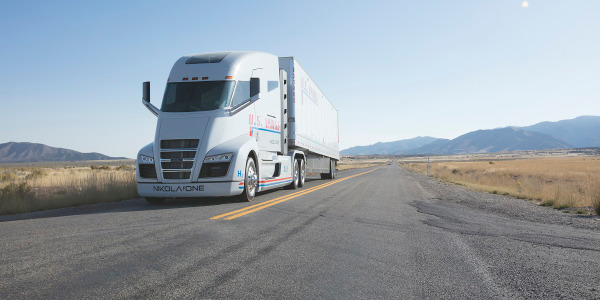 Orange EV manufactures the trucks at its plant in Riverside, Missouri, and it can also repower an existing diesel terminal truck with a fully electric system. 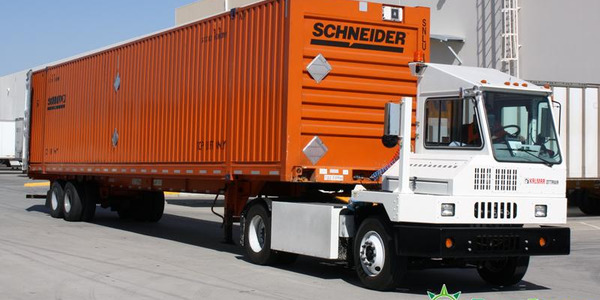 Orange EV will bring a truck to your facility for a trial run and help you spec the right truck for the operation based on run times and duty cycles.